What do spices have to do with body scrubs? Well, more than you would think! Certain spices are naturally good for our skin. They can help ease rashes, skin conditions, or rejuvenate skin cells. Cinnamon, for instance, can plump skin by bringing blood to the surface. With the content of anti-oxidants in Cinnamon, it can also smooth rough skin. Cinnamon can also help prevent acne by removing dead skin cells. Cinnamon isn't the only spice that is nice to your face. Ginger helps cleanse skin with its antiseptic properties as well as fight aging with its high level of anti-oxidants. More so, the Nutmeg in this blend helps restore moisture to your epidermis and also fight inflammation of the skin. All of these spices are blended perfectly with coffee and cocoa to luxuriously moisturize your skin. While it will smell good enough to eat, please do not actually consume the scrub. 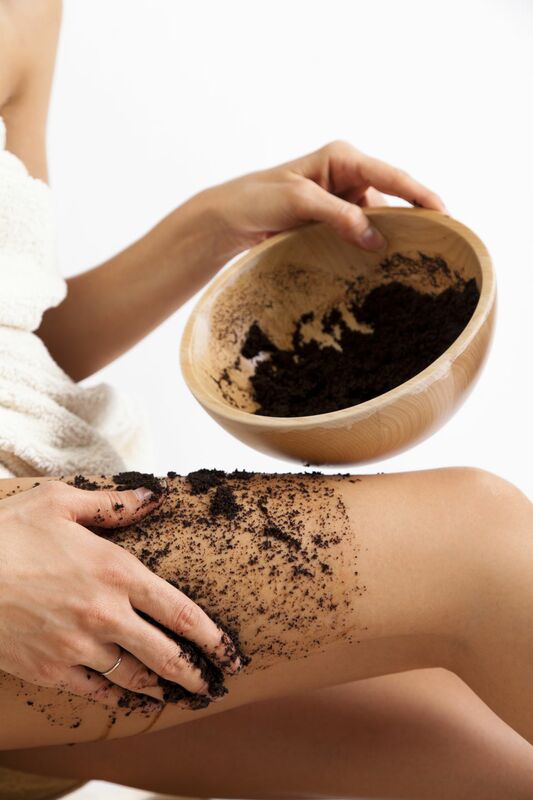 The real exfoliation in this body scrub is contributed to the large granules of the sugar and coffee grounds. These large pieces are able to effectively yet gently exfoliate.The cocoa and spices leave a subtle scent on the skin leaving everyone around you unable to stop smelling you. Okay, maybe that isn't true. But it does smell delightful. In a medium bowl, whisk together the sugar, coffee, cocoa, cinnamon, nutmeg, and ginger. Whisk in 1/4 cup oil until it is completely combined with the sugar mixture. Stir in the remaining oil by the tablespoonful until desired consistency is achieved. Transfer scrub to an airtight, nonreactive container with a wide mouth (for example, a hermetic glass jar with a clamp lid). If the scrub is a gift, affix a decorative label and attach instructions for use to the jar. There are some clever DIY ideas for homemade jar gifts, like reusing old candle containers. To use: Scoop out a generous handful of scrub and apply to clean, wet skin in a circular motion. Rinse well, and pat skin dry. Cautions: Take care when using this scrub.The oil used in it will make the tub or shower floor slippery. Those with nut allergies should not use scrubs made with nut oils. Those with sensitive skin should consider doing a patch test before using. Also Cinnamon can irritate the skin, do not leave on for long periods of time; simply scrub and rinse. If skin irritation occurs, stop using and consult your physician.